EMSL Analytical provides environmental testing services to identify Cyclospora and other microorganisms to prevent outbreaks and protect the public. Earlier this year, an outbreak associated with Cyclospora contaminated cilantro infected close to 500 people in 30 states according to the Centers for Disease Control and Prevention (CDC). Cyclospora cayetanensis is a parasite composed of one cell, too small to be seen without a microscope. 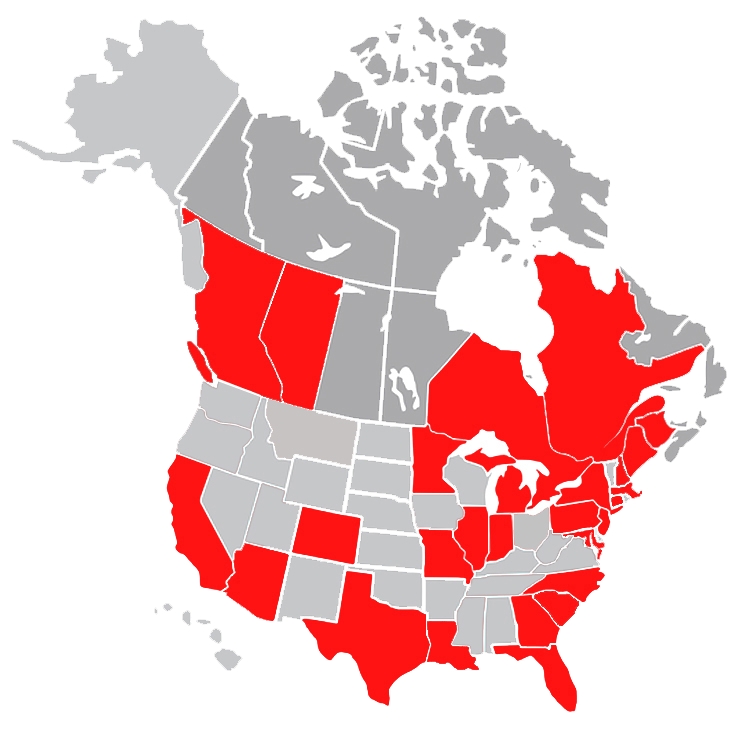 Cyclospora causes an intestinal infection known as cyclosporiasis, and in the United States, many past outbreaks of the infection have been linked to imported produce. Cyclospora can be spread when people ingest food or water that has been contaminated with feces. The CDC reports that Cyclospora needs days to weeks after being passed in a bowel movement to become infectious to another person. Therefore, it is unlikely that Cyclospora is passed directly from one person to another in most circumstances. The time it takes from becoming infected to feeling ill is typically about one week. Cyclospora infects the small intestine and usually causes diarrhea. Other common symptoms include loss of appetite, weight loss, stomach cramps and pain, bloating, increased gas, nausea and fatigue. Vomiting, body aches, headache, fever and other flu-like symptoms may also be present. Some people who are infected do not have any symptoms. 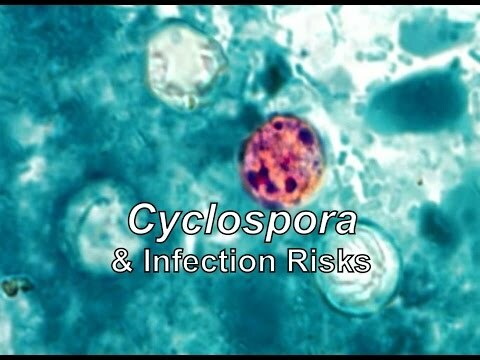 EMSL has also sponsored an educational video about Cyclospora and infection risks that can be seen at: https://youtu.be/dVFRgmZpTfQ. To learn more about testing for Cyclospora or other microbial testing services, please visit www.EMSL.com, call (800) 220-3675 or email info@EMSL.com .